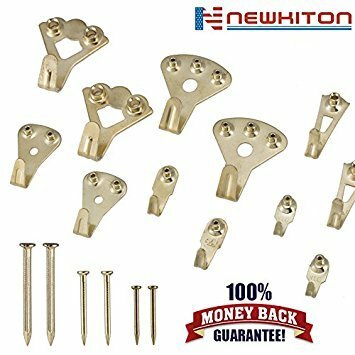 120 Pieces Picture Hangers Set, Include Picture Frame Hanging Kits, Picture Hooks, Photo Frame Wall Mount Holders, Fit for 10-100lb, Gold. Product prices and availability are accurate as of 2019-04-11 18:32:05 UTC and are subject to change. Any price and availability information displayed on http://www.amazon.com/ at the time of purchase will apply to the purchase of this product. Using Easily, Hanging Steadily! 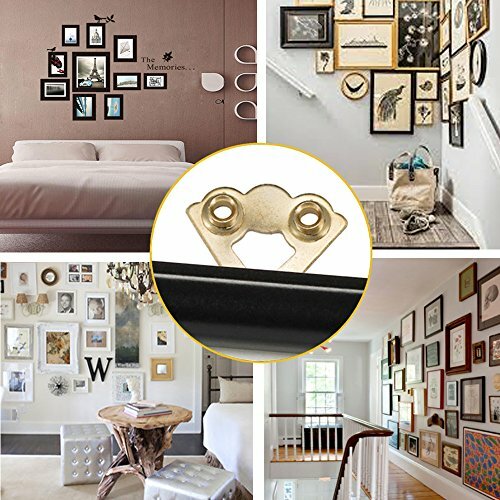 Let our hanging kits help you to hold your art, photos, decorative Items firmly on your home, office, or anywhere you need to hang! Add to Cart! Enjoy your risk-free purchase with Newkiton 100% Money Back Guarantee NOW! 1. 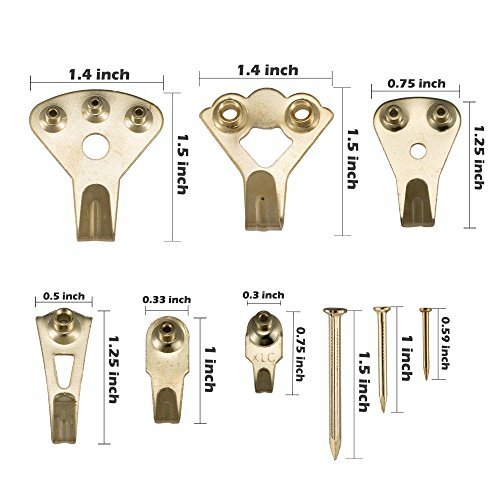 Perfect to Works of Art and Decorative Items, Fits for Home, Office, or Anywhere You Need A Hang. 2. 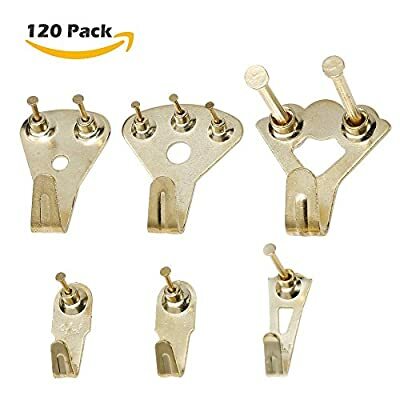 Professional Hanging Set Include: 10*10lb Hangers, 10*20lb Hangers, 10*30lb Hangers, 6*50lb Hangers, 6*75lb Hangers, 6*100lb Hangers, 50*Small Nails, 10*Medium Nails, 12*Large Nails. 3. 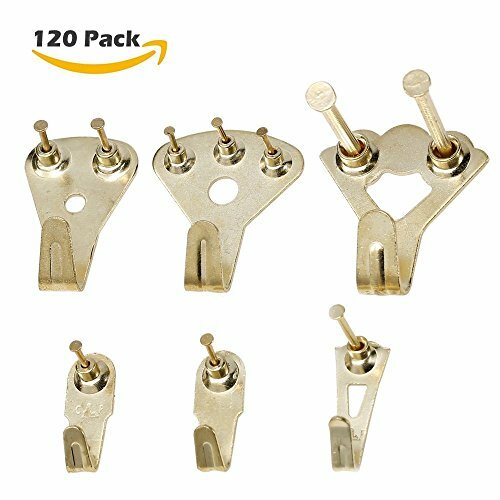 120 Pieces Hangers with a variety of weight ratings, Holds 10-100lbs. Ideal for sheetrock, plaster, wood, and drywall surfaces. 4. Reusable Nails Would Leave Only Small Pin Holes in Wall. Heavy duty and more resistant. 5. Risk Free with Newkiton 100% Money Back Guarantee in 30 Days.